Photos coming from China (via NPU) show what seems to be a Microsoft-branded feature phone, which is nothing more than the living proof that Redmond wanted to launch such devices under its own name. Since the company has already abandoned this particular market, it appears that Microsoft gave up on the project, so the device you see here is unlikely to ever see daylight. But it still raises some questions as to how Microsoft wanted to expand in the mobile business. 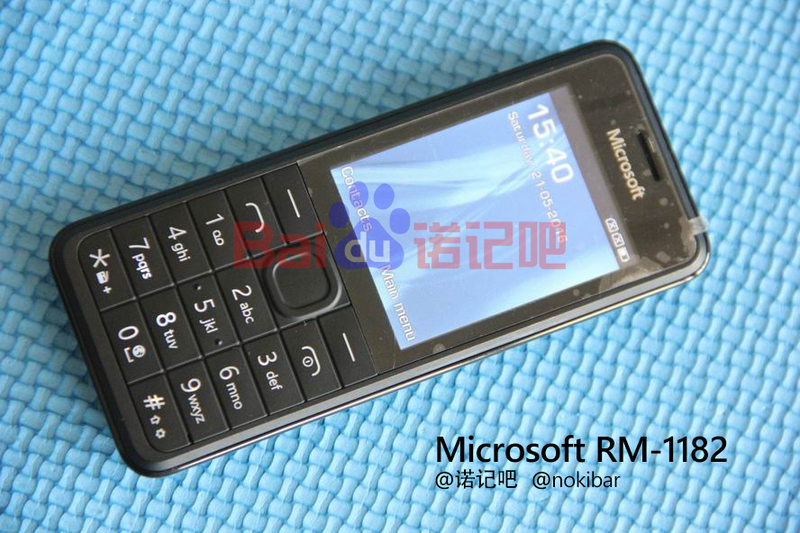 This Microsoft-branded feature phone is internally labeled as RM-1182, and it appears that the same model was spotted last year in Indonesia, when the software giant applied for certification. It was never launched, but documents revealed at that point showed that the device came with dual-SIM support, 3G networks compatibility, and a small camera with a flash. It was most likely a very affordable model supposed to appeal to those looking for a durable feature phone with capabilities that get close to those of a smartphone. And yet, it’s still unknown why exactly Microsoft wanted to launch a feature phone under its own brand. The company purchased Nokia’s devices and services unit, and it also gained the rights to use the Nokia brand until 2024, so Microsoft could very well stick to the same name for a little longer. But at some point, it probably wanted to capitalize on its brand a little more, so renaming these devices to Microsoft was the best way to this. Although it decided to sell it to Foxconn, the feature phone business was pretty successful for Microsoft. In the first quarter of the year, Microsoft was the biggest seller of feature phones with 15 million shipped units while Samsung was the runner-up with approximately 11 million.